Obituary – Niles, Trisa Renee « Perry High School Alumni Association, Inc.
Trisa Renee Niles, 20, Stillwater, formerly of Perry, died Thursday afternoon in a tragic fire in her home located in the central area of the southwest quarter of Stillwater at 1308 South Husband street. Funeral will be at 2 p.m. Saturday at the First Christian church in Perry with Rev. M. R. Work, pastor, officiating. Burial will be in Grace Hill cemetery under direction of the Parker funeral home. She was the daughter of Mr. and Mrs. Ben Niles, 703 Country Club Drive. Miss Niles was born Jan. 15, 1956, at Edmond. 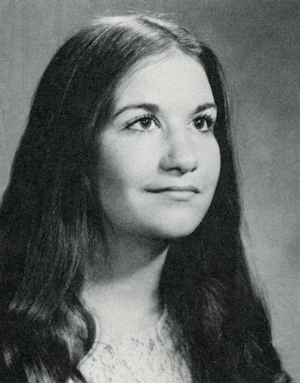 She was a 1974 graduate of Perry high school and had attended the University of Oklahoma the past two years. She had planned to continue her studies at Oklahoma State university for the fall semester. In addition to her parents, she is survived by a sister, Cathy Niles and a brother Clay Niles, both of the home in Perry; and her paternal grandmother, Mrs. Jess Plunk, Golden, Colo.
She was preceded in death by a sister, Vickie Niles. Memorial contributions may be made to the Oklahoma Medical Research Foundation with Parker funeral home serving as custodian.